In time-honoured fashion, the work I had been meaning all Winter do do had to be finished today. Well, after a pretty busy day, I have fitted a compass, constructed a mast crutch and re-located all the equipment I removed from the boat after our last sail in October. The compass was a pretty easy fit- I went against my better judgement and used a jig saw; neat cut and not too much mess. 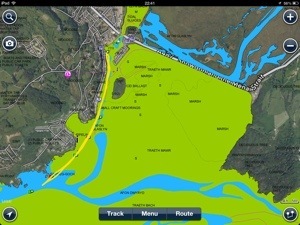 Hope that’s the last hole I make in our boat! 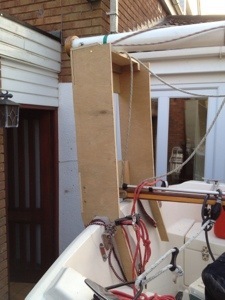 More involved was the construction of a mast crutch. I have shamelessly copied the design of the crutch that Russell made for his Cape Cutter 19, Zephyr. Interestingly, he tried his crutch on Aurora and it did not fit. It seems that the transom of his South African built boat is different to our Honnor-built CC (Aurora’s transom is thicker than the Zephyr’s). Although the crutch is not especially easy on the eye, it offers three important benefits. 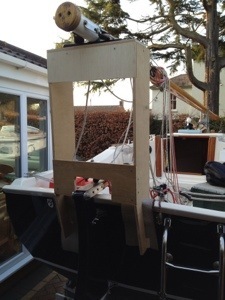 Firstly, it provides a stable support when positioning the mast during the rigging process (hitherto I have rested it on the tiller and it usually falls off several times before the mast is ready to raise). 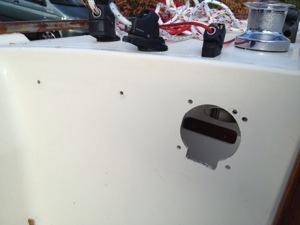 The second benefit is that the mast is now very easy to secure ready for trailing, removing the need for strategically placed pieces of foam. The third time saving benefit is that I can now get into the cabin when the boat is secured for trailing, which is a real help. All I need now is some water…. 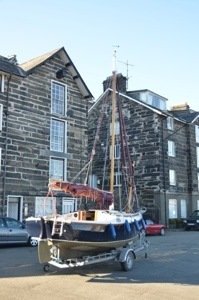 With an exciting new season of sailing on the horizon, it was time to rescue Aurora from her storage shed. The maintenance I promised her at the end of last season have not happened, so predictably I’m doing it now. In a hurry. First on the agenda was the woodwork. The cape cutter 19 has enough wood to look pretty, but not so much that maintenance is a chore. Nevertheless, the varnish on the strakes and coach roof are looking pretty tatty and in need of TLC. I decided to strip the varnish off completely and protect the wood with oil rather than fresh varnish. My logic was that I prefer the look of matt oil finish to easily bruised varnish. I am expecting that the oiled wood will not need rubbing down, but a swift reapplication between launches a few times a season. Time will tell. Anyway, two thick coats of Nitromors and careful scraping removed the flaky old varnish. 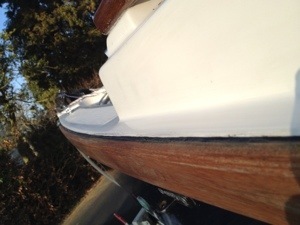 The sealant between the hull and strake was damaged by the scraping, so I cut most off with a Stanley knife and then reapplied prior to the oil treatment . 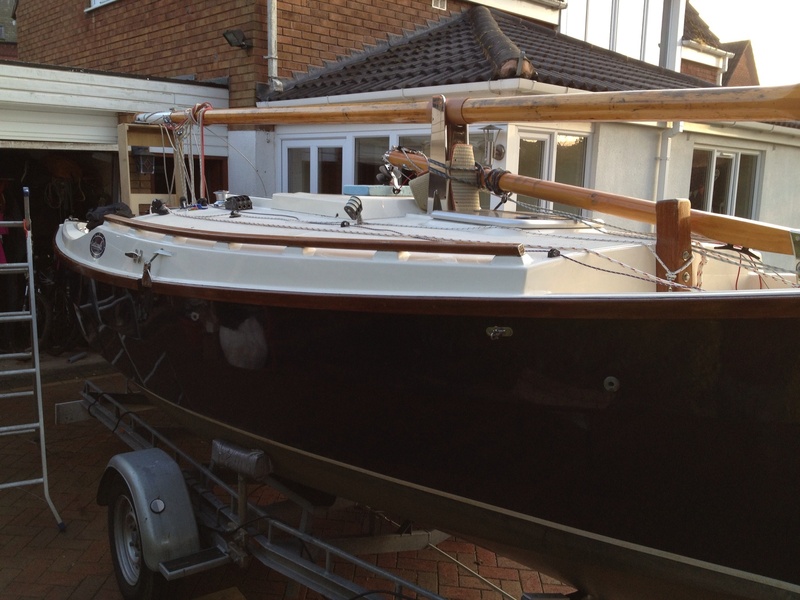 Fortunately, I had had a demonstration of how to apply the sealant last season at Honnor marine. 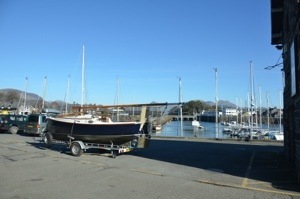 I chose Deks Olje D1 to treat the wood, after consultation with other owners on the Cape Cutter 19 owners forum. Now I need to strip the coach roof woodwork and Sampson Post….